Juzo Soft is the softest compression stocking made by Juzo. The smooth-knit stockings are made with high quality Lycra fibers and is best stocking for everyday wear. Juzo Soft compression stockings are latex free. 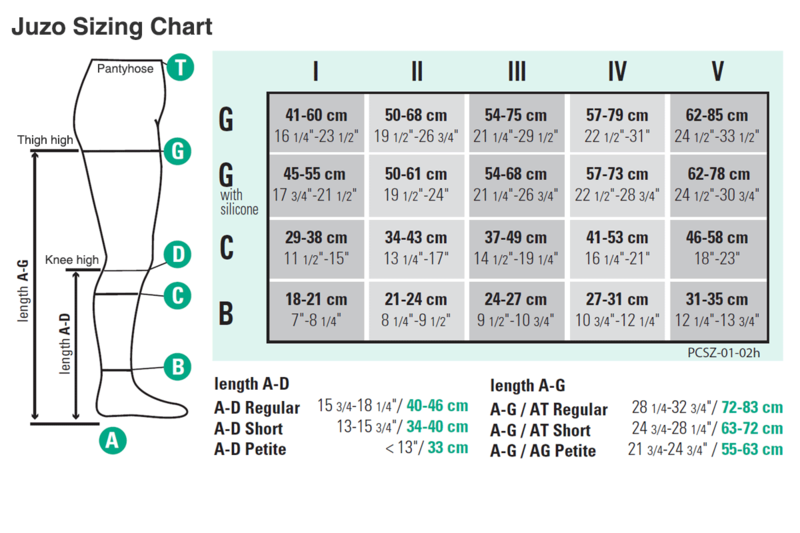 Choose if you want to add a Silicone Band at the top of your knee high. Adding a Silicone band helps the sock grip onto your leg, is great at preventing the compression socks from rolling right below your knee. It's a good idea to get add the silicone band if you are wearing a larger size, or if the area below your knee gets indented easily.